Yesterday, if you will recall, we spoke about articulation and re-articulation as it relates to the Septuagint. Articulation was the result of the translator’s work, i.e. the Septuagint. Re-articulation is how that translation came to be interpreted by the communities that utilized that translation. Benjamin G. Wright III provides us with an explanation for how and why interpretation of the Septuagint that can be characterized as re-articulation became acceptable practice in some Jewish communities and the early Christian Church. Do you remember the story of the 70 (or 72) from your high school bible class/bible college/or seminary? 70 (or 72) scribes, commissioned by King Ptolemy, were contracted to provide a translation of the Jewish Torah/Pentateuch. These scribes, depending on which version of the story you were told, worked together for 72 days and produced a translation which all 72 learned and upright men were agreed (as if this claim isn’t miraculous enough [72 scholars/scribes in complete agreement about anything] some versions of the story claim that the seventy-two separated into solitary cells. In solitude each scribe inspired by the Spirit inscribed the same translation). This story is based on the Letter of Aristeas and has experienced “some” embellishment throughout the centuries. 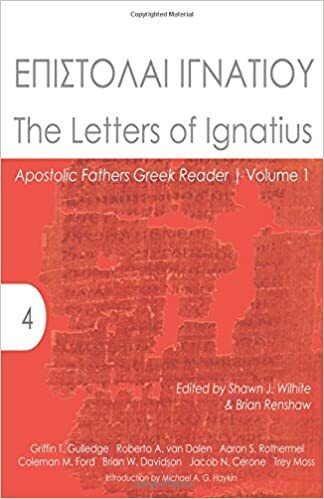 Wright argues that the Letter of Aristeas was developed as a piece of propaganda in support of the Septuagint. According to Wright, the Septuagint was originally intended as an introduction to the Hebrew text. After several decades the text developed in popularity and independency not previously experienced. No longer was it viewed as a dependent text, subservient to the Hebrew original. It had ultimately gained independence and authority. This newfound independence would not hold up to scrutiny if it was unable to substantiate its history. Thus, the Letter of Aristeas appeared as an attempt to place the Greek text on par with the Hebrew. If the Greek text, according to Aristeas, was in complete agreement with its corresponding Hebrew text, then it shared the same divine inspiration and authority. Thus, there remained no need to check the Hebrew text. The work of interpretation could be done without reference to the original Hebrew. After all, the Greek says the same thing.